A native of snowy Buffalo, New York, Fr. Steve received a Bachelor of Arts degree from the State University of New York at Buffalo, majoring in Geography. Leaving his snow shovel behind, he began a career as a cartographer for a map company in Daytona Beach, Florida. Steve said, “I’ve always had a passion for traveling and maps, and the work gave me insight into what helps people get from point “A” to point “B.” Another blessing of those years in Florida was meeting his wife Beth, while they were both active in a local community theater. Beth, a native of Dayton, Ohio, had also moved to Florida for employment after graduation from college with her degree in Accounting. They were active in Episcopal parishes in the Daytona Beach area and fully immersed in parenting their two daughters, Lauren and Mary. God’s nudge toward ordained ministry and support from the parish and diocese had the Cuffs pull up stakes and head north: first to Nashotah House seminary in Wisconsin then on to the School of Theology at the University of the South in Sewanee, Tennessee, where Steve graduated in 1993. He served in the Diocese of West Virginia for the first six years after ordination, in Parkersburg and later Berkeley Springs. While in West Virginia, Fr. Steve discovered a joy in youth and camp ministry, which ultimately led him and his family to Southern Ohio in 1999 to lead our Diocesan Summer Camp at Procter Conference Center. Initially, that appointment was paired with service as Vicar with Saint Andrew’s Church in Washington Court House. Fr. 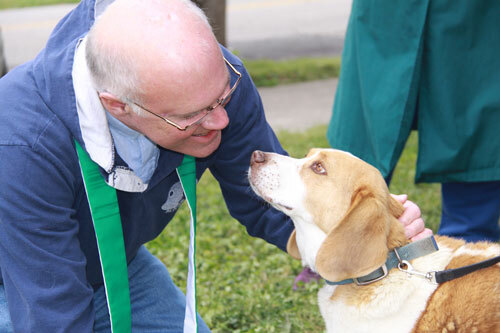 Steve went “full-time” with Saint Andrew’s in 2002, until accepting a call to serve as Chaplain to the Episcopal Retirement Homes communities in Cincinnati the summer of 2007. Steve continues to cherish a relationship with our summer camping program at Procter. 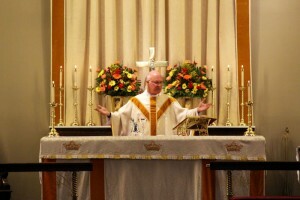 He completed the ministry at ERH and began as priest-in-charge at All Saints’ on April 1, 2013. 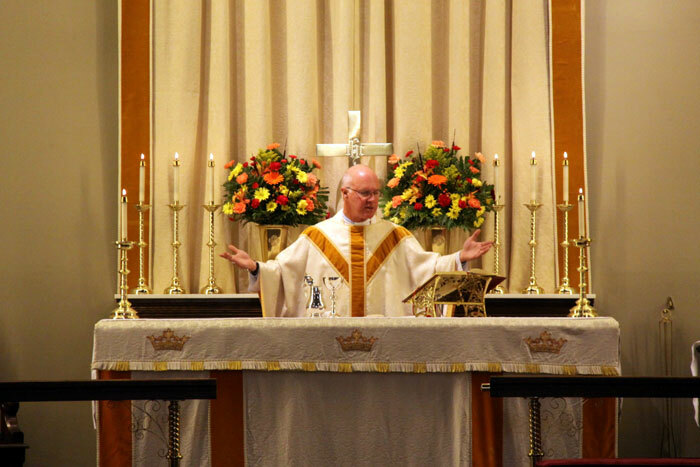 On November 2, 2013, All Saints’ welcomed Fr. Steve as Rector with a Celebration of New Ministry. To complete the “family portrait” – Fr. Steve and Beth have two daughters: Lauren and her husband Derick are both 2008 graduates of Wright State University and together with children Jamie and Sarah, make their home in Fairborn, near Dayton. Mary and her husband Nick are both 2012 graduates of Ohio University and are making their home in Columbus, Ohio.